It’s well understood that forests are worth more than the sum of their trees. As an ecosystem, forests provide an astonishing array of benefits, from the more obvious ones like timber, fruits and nuts, to the intangible ones like maintaining reliable flows of clean water. But how much are these benefits actually worth? And are forests really so much better at providing these services than, say, human-engineered technology? According to a new study in the Philippines, reforestation and forest rehabilitation may truly be the most cost-effective option for producing valuable ecosystem services that many people depend on – especially given the uncertainties brought on by climate change. With funding from the Program on Forests (PROFOR) and technical support from the World Bank, the Government of the Philippines studied three different areas to assess the value of certain “invisible” forest-derived benefits. The research found that healthy forests help reduce risks to climate variability by providing high-quality ecosystem services that contribute to more resilient communities. For instance, the study showed that in the Upper Marikina River Basin – a degraded watershed upstream from Manila, where most inhabitants live below the poverty line - higher forest cover results in 149 to 167 percent higher water yields during the driest months of the year, ensuring a more reliable water supply during times of scarcity. Meanwhile, during the wettest months, forests can reduce the volume of floodwater in the watershed by 27 to 47 percent. Forests also stabilize hillsides and mountainsides in the region by decreasing the risk of soil erosion by 68 to 99 percent per hectare – helping reduce the impacts of natural hazards like flooding and landslides. 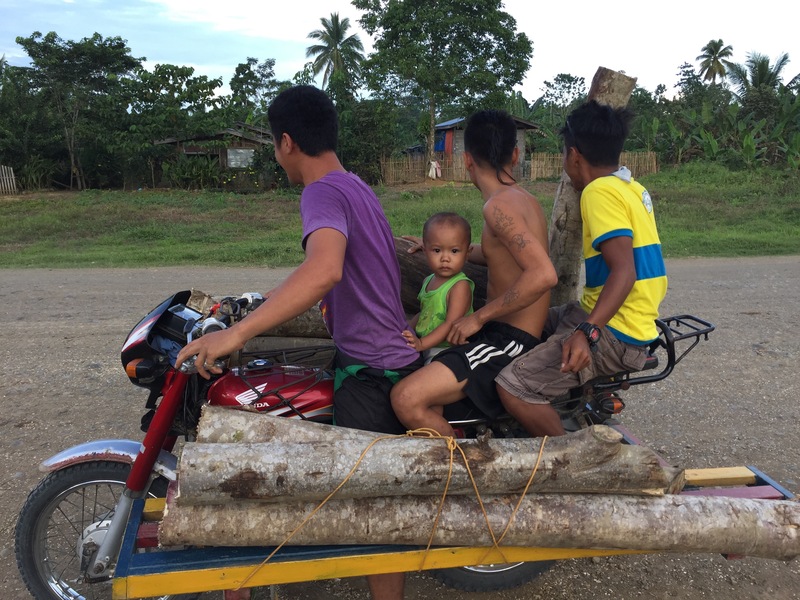 Crucially from a sustainable development perspective, forest ecosystem services are integral to the well-being of poor communities in the Philippines. According to the findings at one pilot site, people obtain about 7 percent of their annual cash income from selling forest resources like bamboo, charcoal, fish, and bush meat. Forest ecosystem services become more important as the impacts of climate change intensify. The Philippines - being an archipelagic country that is naturally vulnerable to typhoons, earthquakes and storm surges– also ranks among the top 5 countries most affected by climate change. According to projections, all areas of the Philippines will get warmer, contributing to more frequent extreme weather events. Dry seasons will become drier, and wet seasons wetter. This study confirms that forests provide services that make communities more resilient to climate change shocks, including acting as a safety net against poverty. The Government of the Philippines is already trying to reverse trends of severe deforestation and forest degradation across the country, and has been working on the valuation of ecosystem services with help from the World Bank-led Wealth Accounting and the Valuation of Ecosystem Services (WAVES) Global Partnership. This work is motivated by the recognition that documenting economic values of forest resources can help make forest investments more attractive, and thus improve the livelihoods of poor upland communities. Findings of the study are intended to guide the Philippines’ National Greening Program by including forest ecosystem services into land use planning processes. Results have also shaped the indicators in the country’s Forest Investment Road Map (FIRM), which is the government’s strategy for accelerating sustainable economic growth in the wood industry through private sector investment. The FIRM, in turn, is consistent with the Philippines Master Plan for Climate Change-Resilient Forestry Development, which aims to promote the development of forest plantations and increase the participation of the private sector, local government units, and organized upland communities.